How to reach Chinese millennials? Get online. In last week’s blog, we looked at the habits and demographics of 300 million Chinese millennials. Here, we look more closely at what travel and tourism brands can do to reach them. It has been said that Chinese millennials “don’t go online, they live online”. Unsurprisingly, this tech-savvy cohort researches travel online, and likes reams of information about destinations, including experiences and where to eat/drink/shop. They like to decide exactly what they want to see and do before they depart, making it vital for destinations, hotels and visitor attractions to promote their offering in China in order to secure a space on millennials’ travel itineraries. This segment has a research and booking window of 4-6 weeks before departure. WeChat is key: almost half of Chinese millennials get travel information through WeChat moments and 35% from WeChat shares by travel advisors. Weibo is also important. Supported by native advertising, the digital space is extremely well-placed to reach Chinese millennials planning travel. Melia hotels encourage online interaction through beautiful visuals and engaged nearly 1m Chinese travellers via WeChat and Weibo in 2015. Key Opinion Leaders and tastemakers are extremely influential for this group. From major celebrity partnerships to controversial blogger Papi Jiang for Jaeger LeCoultre and L’Oreal, and China Travel Outbound’s own work to bring Chinese rock group Miserable Faith to the original Hard Rock Cafe in London, gaining the right celebrity endorsement is a chance to bring your product to just the right millennial fan base. The Regency Restaurant in Brighton has benefitted from the endorsement of a Chinese food blogger while The Plough at Cadsden, host to David Cameron and President Xi Jinping in October 2015, has been visited by so many Chinese that it’s now been bought by Chinese investors. Edinburgh brought 6 influential travel bloggers to Hogmanay in 2015. The resulting content has been viewed over 20 million times in China. 39% of Chinese millennial travellers say they can’t go 5 minutes without looking at their mobile ‘phone, so mobile-friendly, responsive websites are essential for this demographic. And Chinese websites are not just a matter of translation; they must be structured, designed and written to meet Chinese needs. They also need to be hosted in China and to load speedily. Live-streaming provides an opportunity for travel products to showcase their highlights. The right live streaming event with an influential Key Opinion Leader (KOL) could provide great cut-through for destinations willing to invest in this market to gain a lead on their rivals. Even if you haven’t managed to reach the travelling millennials until they’ve arrived in destination, all is not lost. Geographic targeting via WeChat can put your product in front of tourists adding the final hotels and restaurants to their itineraries. Shopping destinations and luxury brands can promote themselves using QR codes instore too. And finally, don’t forget the huge opportunity presented by the vast and growing Chinese student population here in the UK. With an estimated 130,000 Chinese students, the UK is one of the most popular choices for overseas study. And these affluent and educated young people want to explore, not just the UK, but the rest of Europe whilst they have this opportunity. 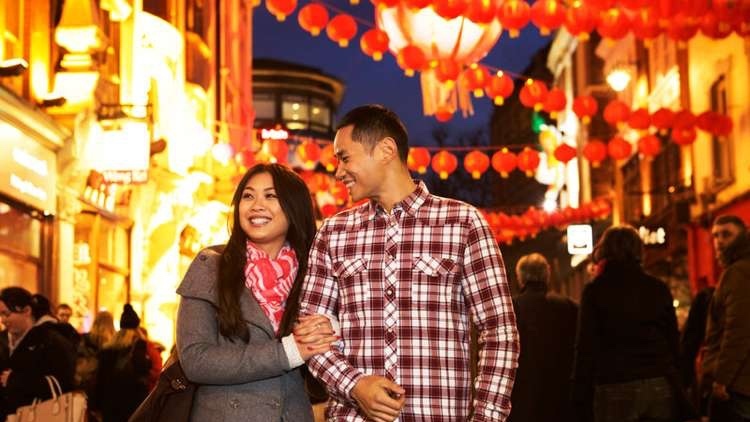 Connect to them through WeChat or Weibo, or speak to China Travel Outbound about our connections to the influential Chinese Societies. To find out more about how to market your destination, visitor attraction or hotel to the Chinese, contact us and we’ll talk you through some options. Enjoyed this article? Then these may also be of interest to you.